Cleaning kit for saxophone. 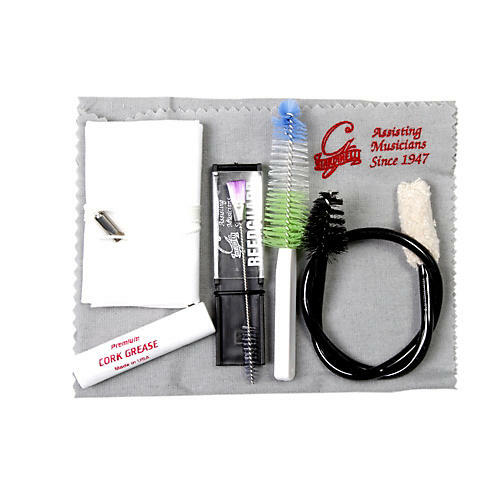 This kit includes a drop-through internal swab with pull weight, a tube of cork grease, a reed guard and brush, a mouthpiece brush and a lint-free polish cloth. Keep your instrument clean and it will keep you happy.